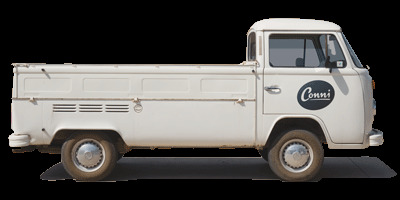 She is one of the family, our '78 Kombi ute does all the heavy lifting. She goes home with Glenys our CEO during the holidays because Conni Kombi loves to help in the garden. She's quite rare and we quite enjoy her being a part of our team.